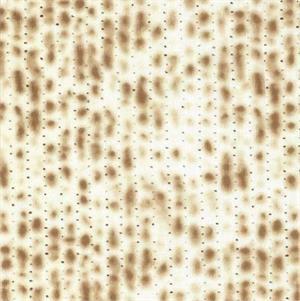 This realistic looking matzah fabric is 100% cotton. It is 57" wide which is almost 1/3 more fabric per yard that the usual 45" wide fabrics. Price is per yard. Please use drop down box to select quantity. Total number of yards ordered will be sent in one uncut piece. Please put one yard in your cart and then go to your cart and change to desired number and update.